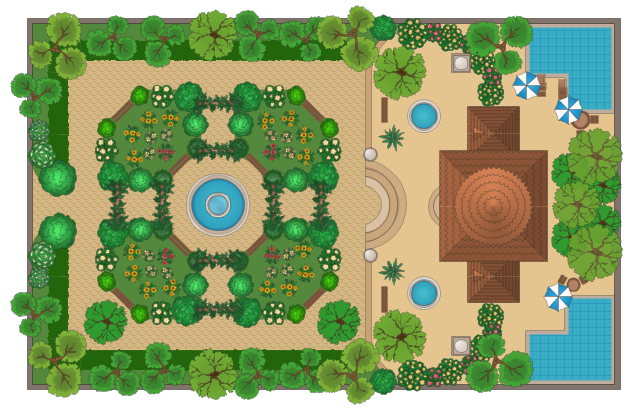 This example of garden design shows ornamental trees, bushes, flowers, grass, pools, fontain, garden furniture, wall, stairs and building layout. "A residential or private domestic garden, is the most common form of garden and is in proximity to a residence, such as the 'front garden' or 'back garden'. The front garden may be a formal and semi-public space and so subject to the constraints of convention and local laws. While typically found in the yard of the residence, a garden may also be established on a roof, in an atrium or courtyard, on a balcony, in windowboxes, or on a patio. Residential gardens are typically designed at human scale, as they are most often intended for private use. However, the garden of a great house or a large estate may be larger than a public park. 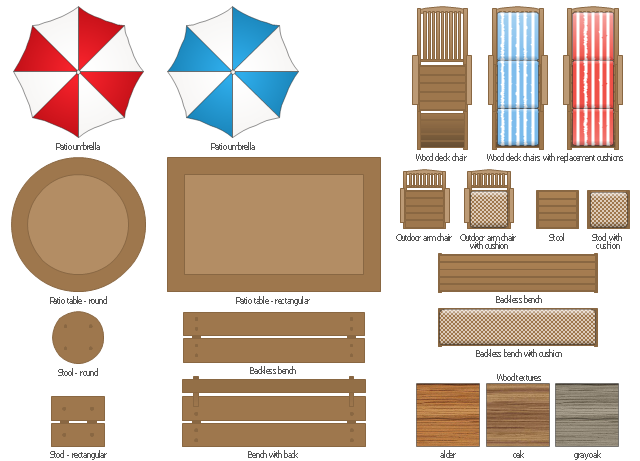 The vector stencils library "Garden furniture" contains 20 clipart images of garden furniture. Use it to create your landscape and outdoor space design, patio decor and garden plans. 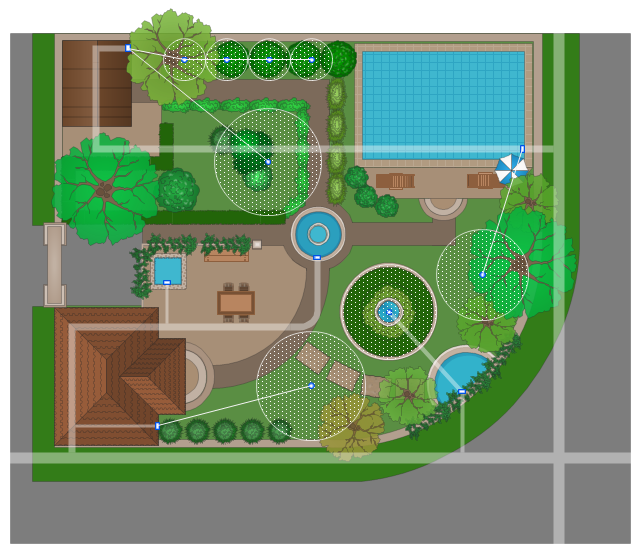 This example of garden design shows layout of irrigation water lines, patio, ornamental trees, bushes, flowers, grass, paths, pools, fountain, wall with gate, and building.